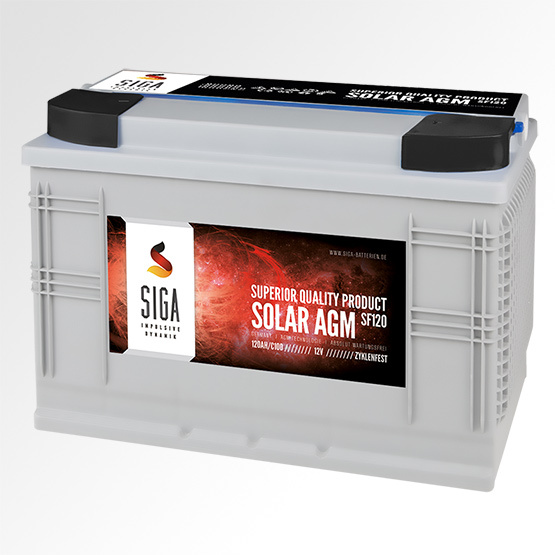 SIGA SOLAR AGM batteries are designed for hobby applications. In these solar batteries, the electrolyte is bound in fiberglass fibers and thus in every position they can be used 100% leak-proof, gas leak free and totally maintenance free. SIGA SOLAR AGM batteries uses a special thicker plate structure with cycle resistant active material for repeated charges and discharges and can be used indoors without degassing. By focusing on this specific application SIGA provides the AGM Solar batteries for several years a reliable supply at a very good price-performance ratio.